As residents of northern Michigan, we come to expect the panoramic views, beautiful lakes and streams and the lush woodlands. However, sometimes the scene is not so picturesque. Parts of our township’s landscape may harbor blight that can hurts our community’s image, property values and the environment. 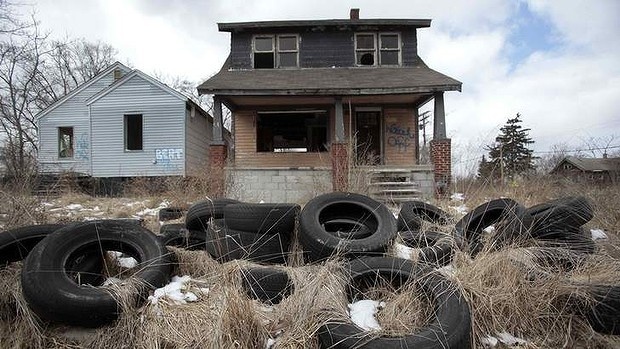 Blight is generally defined as anything that degrades the physical surroundings and the quality of life in a community. It can include everything from the accumulation of junk, abandoned vehicles, unkempt lawns and derelict , vacant dwellings. While it’s unpleasant to look at, there are economic, environmental and potential public health implications. A neighbor may worry that the dilapidated house next door may reduce the value or sale ability of his property. An old or inoperable automobile can pose environmental hazards such as gas, oil, antifreeze or battery acid. If these liquids leach into the soil, they could eventually contaminate area well. The unmanaged pile of building material may harbor rodents or vermin that may migrate to neighborhood homes. In 2001, the Littlefield Township Board of Trustees revised it’s Blight Elimination Ordinance. Violation of this ordinance is considered a municipal civil infraction subject to the issuance of a citation. Our goal and commitment is to achieve and maintain an attractive and well maintained community for all our residents, visitors and businesses to enjoy. The Blight Enforcement Officer works in partnership with Littlefield Township residents and businesses to achieve these goals. Since our Blight Enforcement Officer is considered a part-time position, enforcement is complaint driven. Whenever a violation occurs, or is alleged to have occurred, two separate households, or businesses must file separate written, signed complaints with the Township Board. **Two separate written signed complaints must be submitted before any action can take place.